Armies of skeletons has been spawned by a mysterious power and is coming to a peaceful village to destroy it. As the village's only hope, you must defend the village from the invading armies of hell. 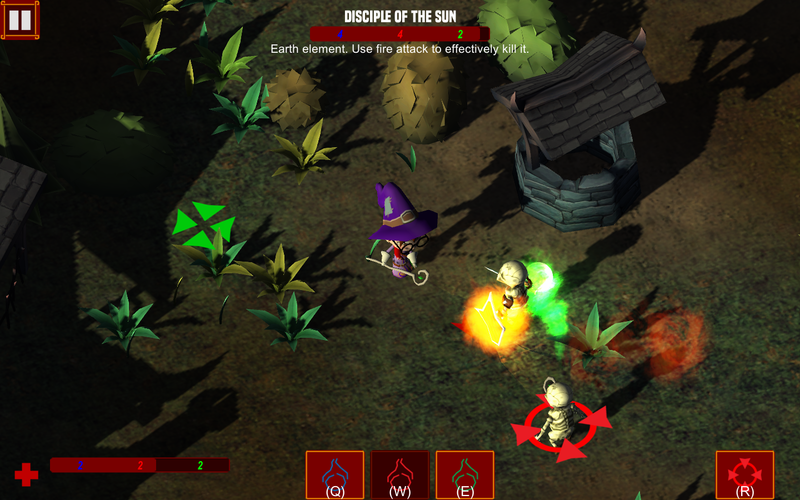 “Fantasy Mage” is an action role-playing hack and slash games. The game is presented from a top-down view perspective. 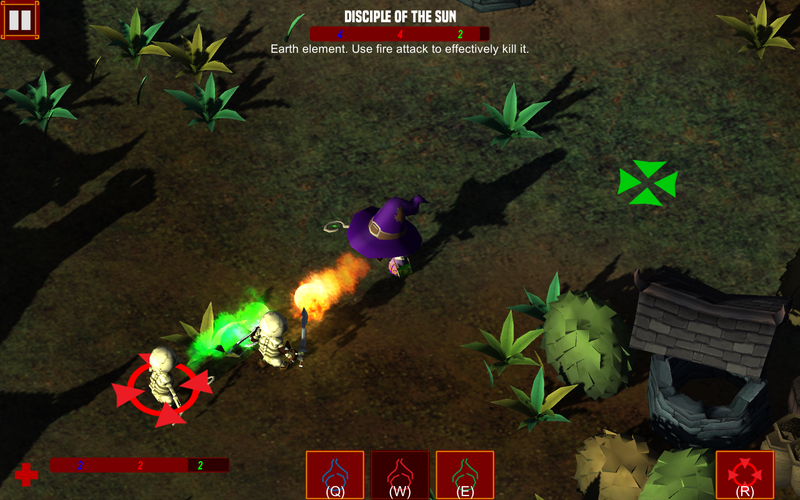 The player can acquire loots, equip spells and armor, defeat enemies, and level up to become a powerful mage. 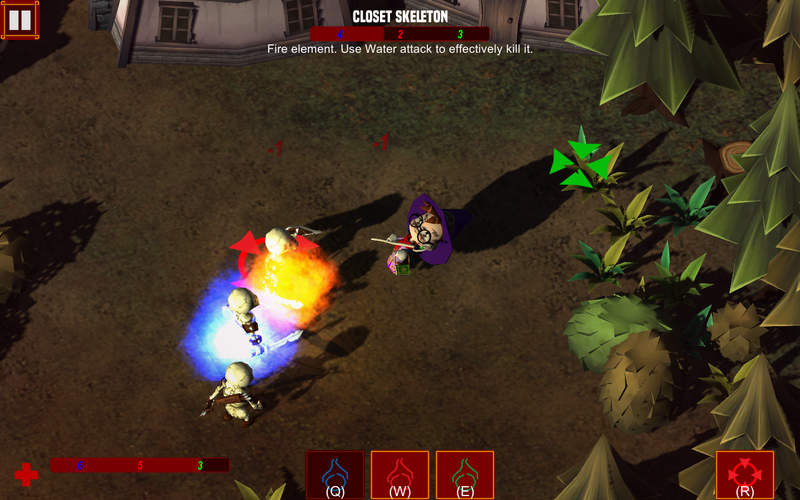 In Fantasy Mage, the player controls the main character which is a young mage to defeat an army of skeleton warriors that are attacking the village. The game has 60 stages which in each stage, player will have to defeat all the enemies in the stage before unlocking the next stage. At the end of each stage, player will be rewarded with random loots. Loots are categorized as normal, rare and legendary according to the uniqueness of the loots. Loots can be hats, robes, boots or spells. 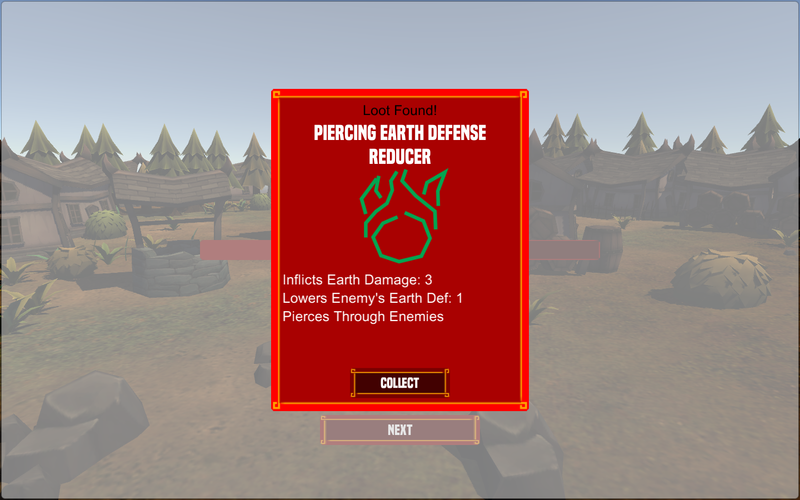 After acquiring the loots, player can choose to equip them. 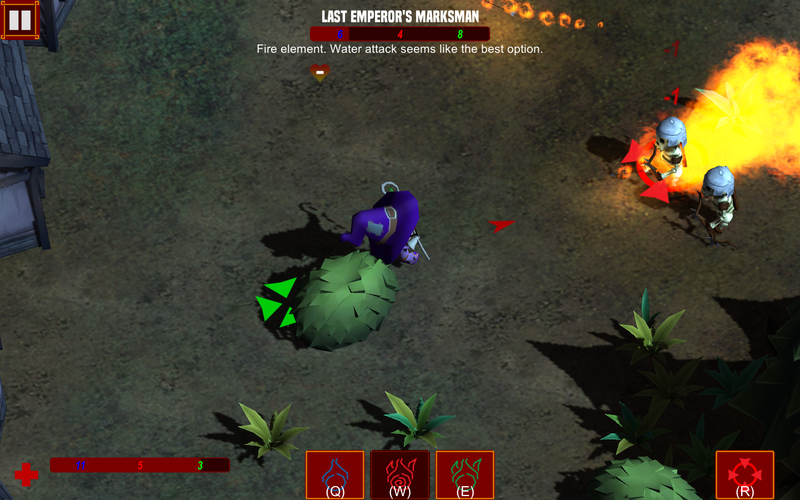 Each enemies has different element whether it’s water, fire, or earth element. Each elements has its own strength and weakness. 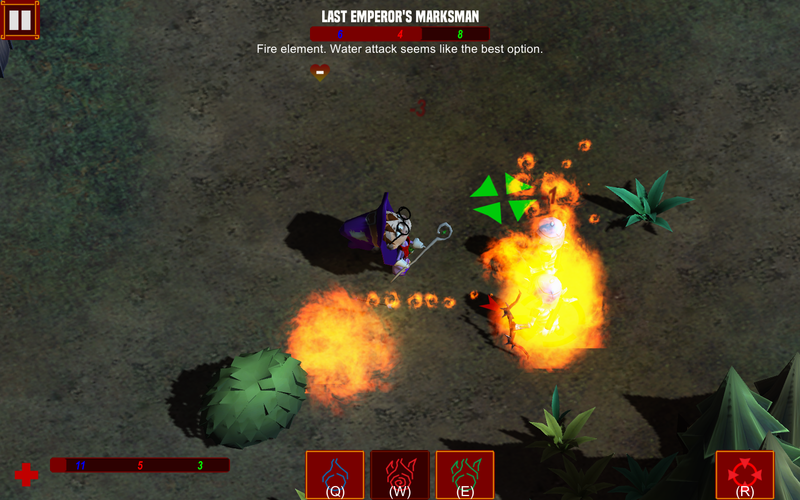 Player will have to figure out which items is best suited to defeat a certain kind of enemy. Cast elemental spells such as fireball, earthball, and waterball. 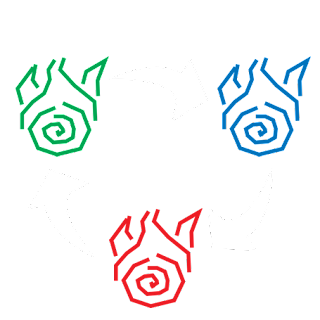 Elemental spells can only damage a specific elemental enemy. Use different strategies to defeat a certain enemy. For example if you encountered a fire element skeleton, its best to damage him using water spells. Find endless possibility of loots. 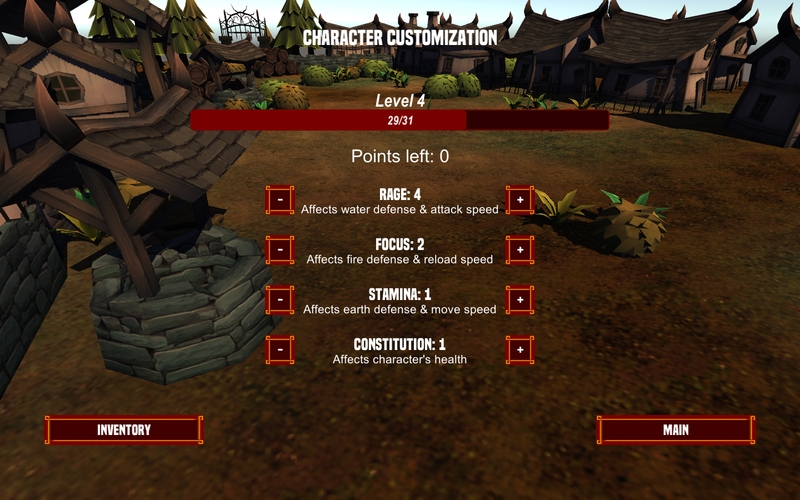 Customize your character with different sets of items to defeat different kind of enemies. Each level consist of enemies with different element and strengths. 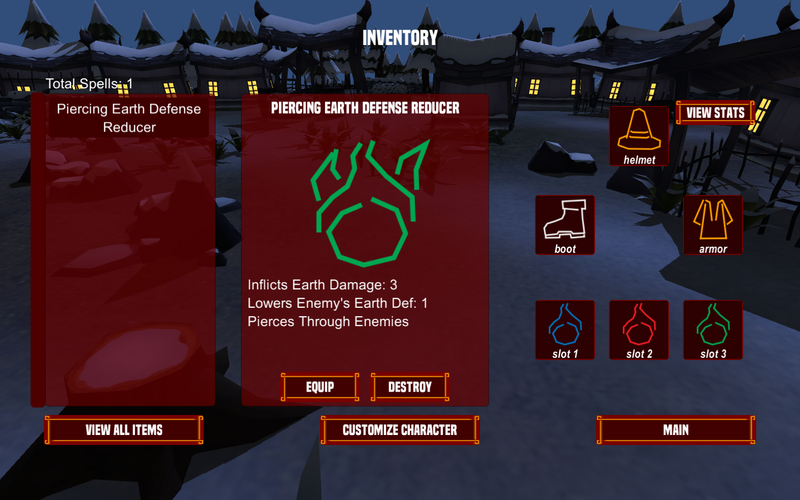 Identify enemy's element and weakness and then strategically equip items to defeat them. Fantasy Mage is loot oriented. Hunt for epic gears and spells. Some item grants player new skill to use. All spells and skills are granted by item. There are lots of new skills and spells to discover. Equip and customize 3 loadouts which can be changed on the fly. Making it easy to change strategy against different kind of enemies. Each loadout can be customized to equip different spells. Identify enemy's strength and weakness and exploit them. With the right item, exploit enemy's defense, or burn it with burning status that deal damage over time, or knock them back with kinetic spell, stun, or slow their movement. If an enemy attacks too fast, slow it down or even freeze them. There are many ways to defeat an enemy. 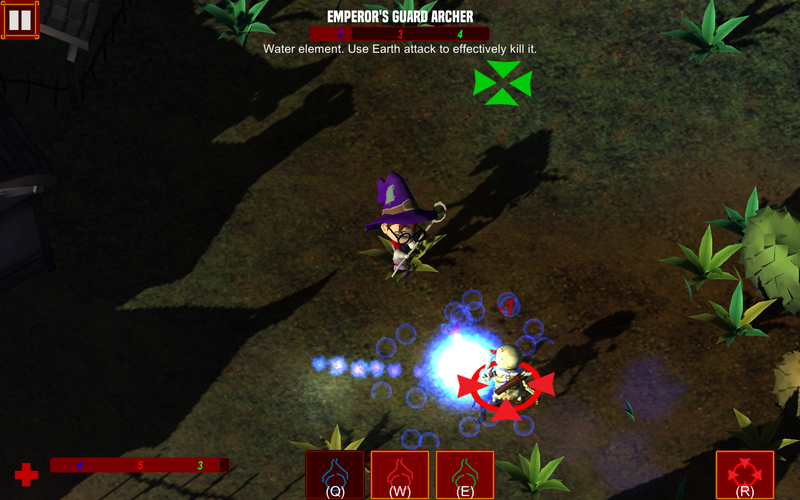 Combat in Fantasy Mage is simplified so that the player can focus on dealing damage and manipulating the enemies. Just select an enemy and then the character will lock-fire on it until it dies or you changed target. 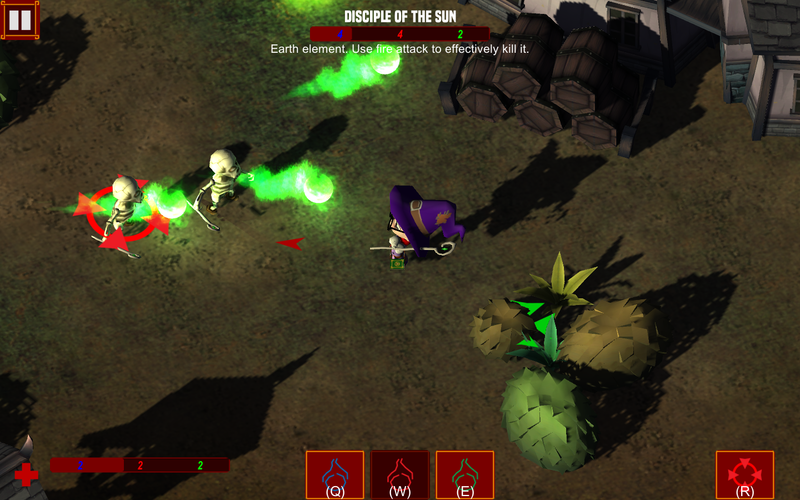 now you can focus on dodging spells and figuring out the enemy's weakness. For this is a paymium game, there is no iap ever in the game. you get what you paid for.